Recently, L and I went on a little adventure and it was so exciting, we've been dying to share it with you! Not a million miles away from where we live, here in Bristol, contained within a non-descript warehouse on a generic industrial estate, there resides a group of some of the most inquisitive and formidable minds on the planet. As the trucks rumble past and the world carries on its day, they are busy creating something magificent. It's 44ft long, weighs 7.5 tonnes and could lap Usain Bolt before he even left the blocks. If it could turn corners, anyway. So, what is this mysterious monster of a machine? It is... *drumroll* ... 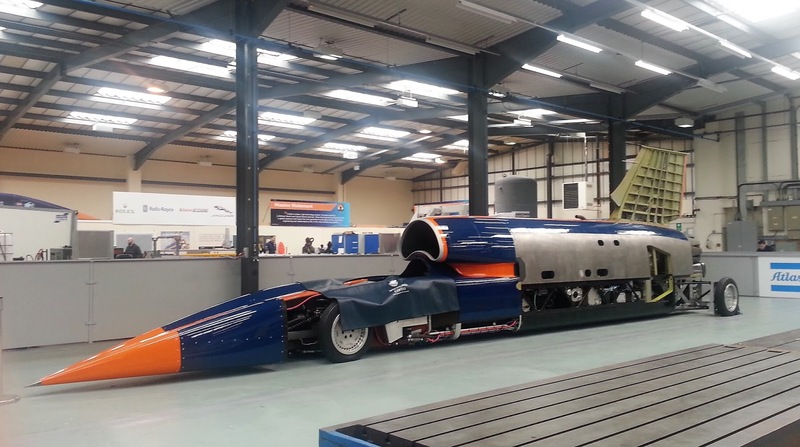 The BLOODHOUND SSC. This is the vehicle tasked with the job of breaking the current land speed record. 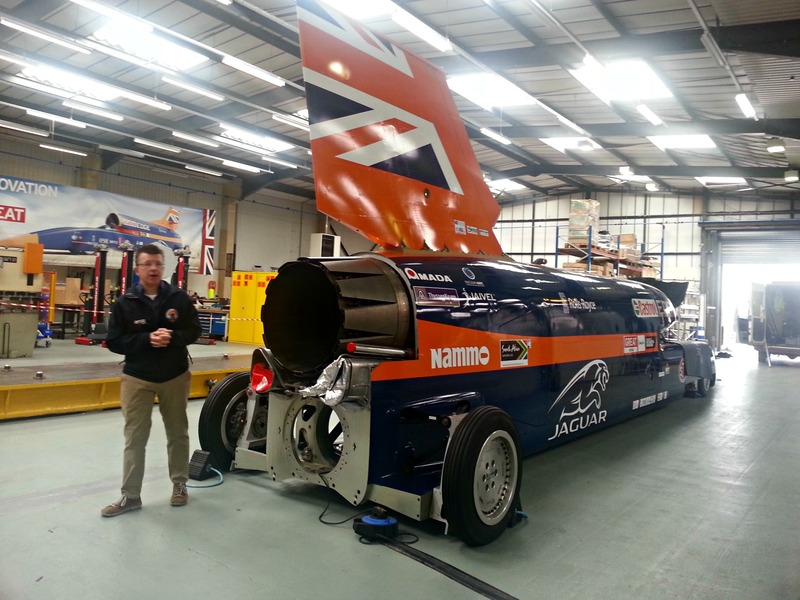 The record was last broken in 1997, when THRUST SSC (Bloodhound's predecessor) achieved a speed of 763mph. The aim with this new attempt is to exceed 1,000mph. Oh yes, 1000mph. In a car. On the ground. It sounds incredible, but this is an amazing team of people, with many of the most innovative engineers in the world and they have got an incredible piece of kit to do it in. So it's happening. What I really love about this project is the amazing work they do for young people and education. There's a lot more to education than just words and numbers. Inspiring children to want to learn and appreciate the joy of investigating and expanding the mind is vital to school life. It is also often the biggest challenge amongst educators. In the Bloodhound camp, however, they have a secret weapon. Rob has the most amazing job title ever and he wears it well. As Chief Inspirer, he is tasked with filling young people with wonder and amazement at all the science-y bits that Bloodhound has to offer. There was never a man more cut out for this role. It is impossible to spend five minutes in a room with him, without being overwhelmed with enthusiasm for whatever it is he is currently excited about. 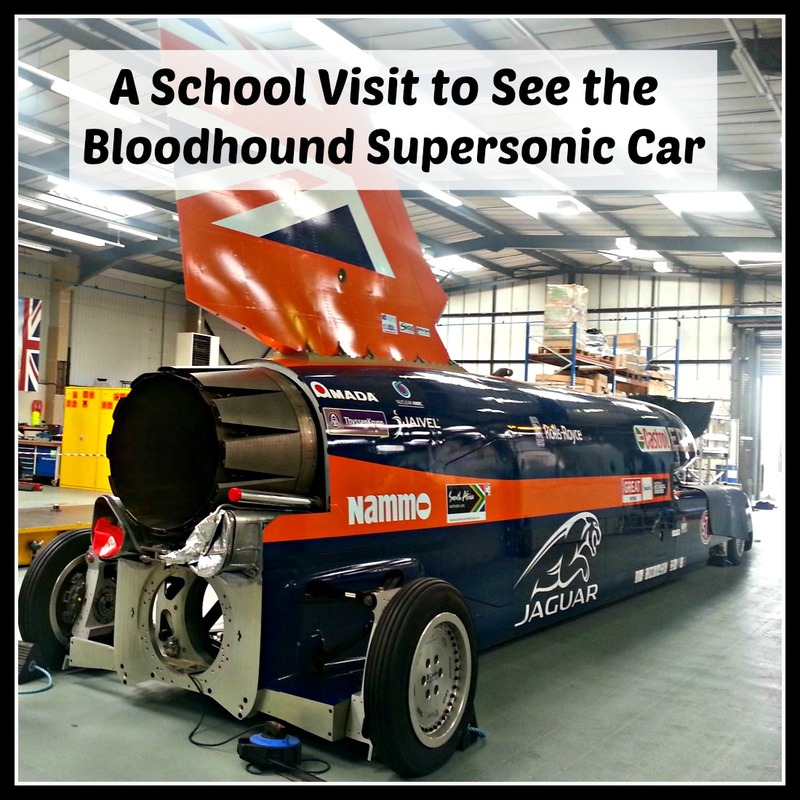 In some ways, it's not the hardest job in the world, Bloodhound is very exciting in its own right, but the team have an amazing programme to inspire our young people to take up the baton of science and technology and run headlong with it into the future. It's brilliant. During our initial visit to the workshop, we were introduced to the principles of combustion, using some hairspray and a Pringles tube, amongst many other fun and interactive experiments. 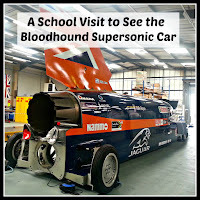 Following this, we were invited to attend a series of workshops, exploring the priniciples behind rocket powered cars. L, along with some of his friends and children from other schools, spent the next few weeks building models using different materials, to explore the principals of physics. 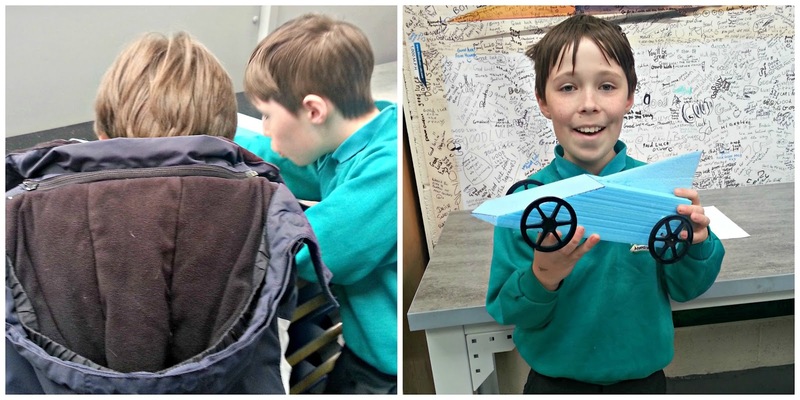 The experiments culminated in the children making and racing their own rocket cars, where they achieved a top speed of 49mph! The children were thrilled with what they had accomplished and most of the school turned out to support them when they raced their models. Education is so important to the next generation in order to try to ensure their future, but it's not always easy to convince them of that. 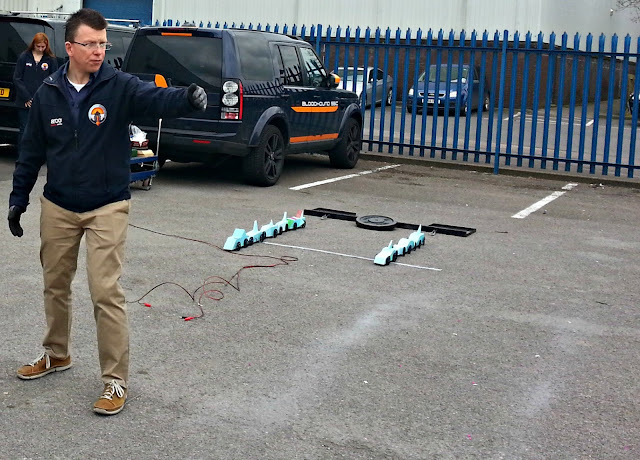 Bloodhound's education programme creates waves in the fields of engineering and science that are impossible to resist and it does a fantastic job of making science fascinating. The team are helping to create the engineers of the future and you can support them by clicking the link and becoming part of the 1K Club. Live the excitement of making history. Wowzers! That looks like no car I've ever seen! Chief Inspirer though - what a cool job. That looks so cool!! I can imagine my boys loving that too, what a great opportunity and wonderful to see how it links up with science too. Wow that looks amazing! My four year old would absolutely love this. Wow what an amazing opportunity for you both! That is such an awesome looking car! This looks incredible! What an amazing opportunity! Wow that does look amazing! It's the sort of thing my son would love.